You are going to draw $6$ congruent squares to make as many squares as you can! 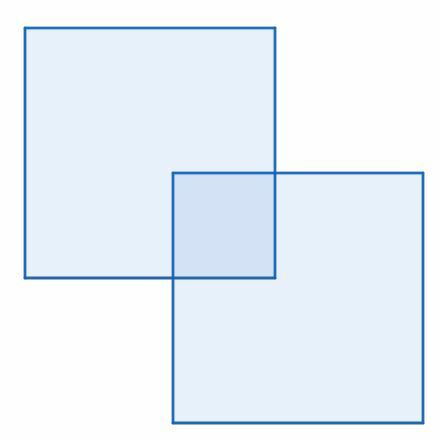 What is the maximum amount of squares (except the original squares) you can create by drawing 6 congruent squares? 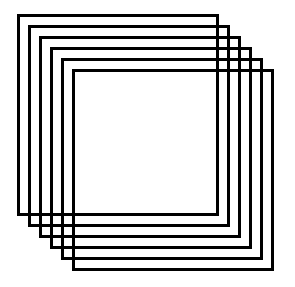 The six squares are arranged evenly along a diagonal line. Any two of the 6 squares overlap to make a large square. There are 6*5/2=15 of these. There are also the tiny squares arranged in triangles at the top right and bottom left. There are 10 on each side. There are also 3 squares on each side made from 2x2 of the tiny squares. This makes for a total of 15+2*(10+3)=41 extra squares. I have a feeling there is a better solution, so I'll keep trying. Not the answer you're looking for? Browse other questions tagged logical-deduction geometry combinatorics or ask your own question.